We need to account for police mistreatment of the disabled and homeless. For those continually exasperated by the spate of white denials of racism in the face of blatantly racist police murders, the #CrimingWhileWhite stories on Twitter were a gratifying rebuttal. By offering a mountain of testimony in the form of direct race-based compare-and-contrast stories, the meme undermined the country’s pernicious refusal to acknowledge that perhaps, just perhaps, it might be good to be in the upper caste. In making explicit what all secretly know to be true, an honest conversation seemed at last to be occurring. 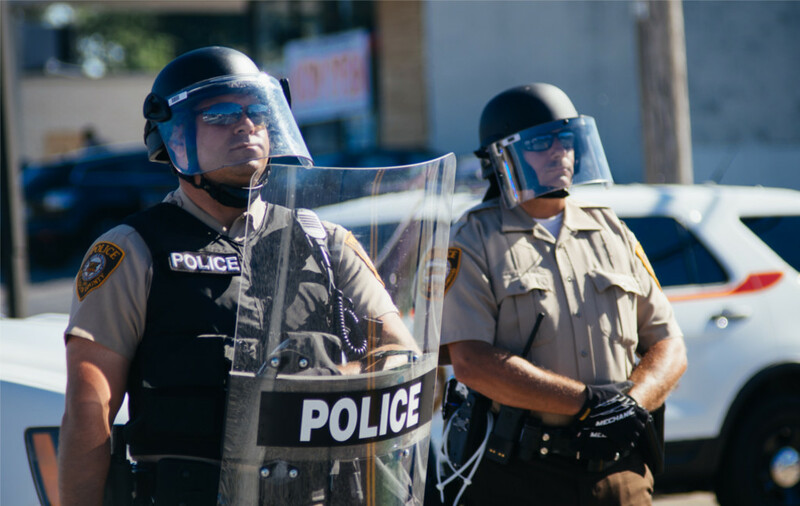 The fact is that a bloated, unaccountable police force victimizes a wide swath of people, and that being a member of a privileged race is not always protection. Certainly it wasn’t for Kelly Thomas, the homeless man murdered by Fullerton, California police officers. As the schizophrenic Thomas had the life beaten out of him behind the Slidebar Rock-N-Roll Kitchen,he called out hopelessly for his father: “Dad…Dad…Dad.” Thomas didn’t fare any better than Eric Garner, except that his officers were put on trial– before being acquitted. And so, as the #Criming tweeters painted their picture of an Andy Griffith world of policing, in which whiteness means the local sheriff laughs off your latest teen indiscretion and drops you at your parents’ doorstep, it didn’t quite ring true. The fact is that unless you are both white and wealthy, the police are a largely antagonistic force. Of course, the level of mistreatment and violence against blacks is unparalleled. But if a theory is to hold, it must be able to deal with exceptional cases, such as the death of a mentally-ill white man at the hands of a Hispanic police officer. If the problem with the American criminal justice system is that it is racist, how can one explain such an incident except as an aberrational absurdity? But it is not an aberrational absurdity; it is a core reality of contemporary criminal justice. Constitutional law professor James Forman has pointed this out in critiquing the concept of “The New Jim Crow.” As Forman puts it, “The Jim Crow claim is, at the end of the day, an appeal to the base—a metaphor with great potential to mobilize blacks and racial justice advocates to care about mass incarceration. But it comes at a cost—namely, the analogy does not encourage other racial groups to recognize that, on this issue, black interests coincide with their own.” Kelly Thomas didn’t have any better luck on account of his race, nor did Dillon Taylor, the unarmed white man gunned down by Salt Lake City police in August, or Robert Saylor, the man with Down’s syndrome asphyxiated by deputies when he refused to leave a movie theater. The homeless and mentally ill of either race, and many poor people generally, can report that life is no #CrimingWhileWhite picnic. The undesirable and excluded are universally subjected to the policeman’s billy club. Not accepting this important nuance could have devastating consequences for a movement. If analysis begins and ends at “Black lives matter,” what becomes of the Muslim lives continually under police surveillance since 9/11? The homeless lives who are under daily harassment? The brown lives threatened by a ruthless deportation regime? The more than 200,000 women’s lives in America’s prisons? Furthermore, if exorcising racism is taken to be the sole objective, campaigners might be at risk of getting exactly what they wish for: police will diversify their ranks and reduce the ugly racial statistical imbalance, yet ultimately will become not a shred less vindictive, violent, and unaccountable. This same trap occurs in discussions of the American death penalty. We can say the death penalty is racist, which is true. But ending our diagnosis there means leaving open the possibility for the state to simply iron out the disparities: as long as people are being executed without regard to their race, there can be no problem. We lack a framework to deal with the case of Scott Panetti, the hideously mentally ill white man under threat of execution in Texas. The point that should be being made is that the death penalty is wrong because it is immoral, not wrong because it is racially disparate. Similarly, American policing must be condemned, not only because it continues Jim Crow, but because it is an uncontrollable, militarized, and yes, racist leviathan that tramples the vulnerable to death without consequence. This does add a small amount of complexity to the post-Ferguson project. But it should not be difficult to simultaneously hold the twin beliefs that criminal justice is racial in nature and that there is an economic elite who enjoy advantages that the poor, no matter what their race, do not. Race-based and class-based analyses of power are not alternatives, they are complements. Each is a hierarchy, and they manifest in different, intricate ways. This is what the theory of “intersectionality” is supposed to be useful for: there are bigotries that a white homeless woman will face that a black male executive will not, and vice versa. But the strategy for success is solidarity among the weak against the strong.